Floating week at this lovely resort! RTU until 2030. 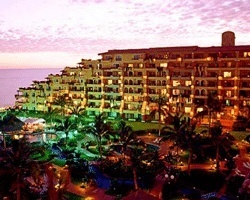 Your ownership includes special golf discounts and promotions through Velas Vallarta. Enjoy an all-inclusive stay in Paradise at *Velas Vallarta Suite Resort*, situated on beautiful Banderas Bay\\\'s tropical beach! 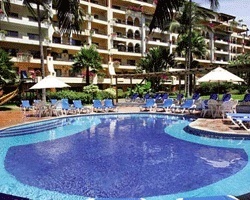 Within walking distance of the resort is Marina Vallarta, and Marina Vallarta Golf Course is very near as well. The resort\\\'s spacious, beautifully appointed suites are tropically inspired, complete with modern furnishings, lifestyle enhancing amenities, and balconies with ocean and garden views! 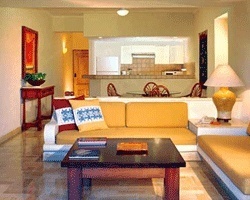 To discover more, visit www.velasvallarta.com. *Outstanding Vacation Destination* Featuring an elegantly appointed 1 bedroom, 1 bath Deluxe suite that will accommodate 4 guests comfortably. Usage is biennial even in a floating week. RTU until 2030. For more information or to make an offer, please submit the inquiry form.